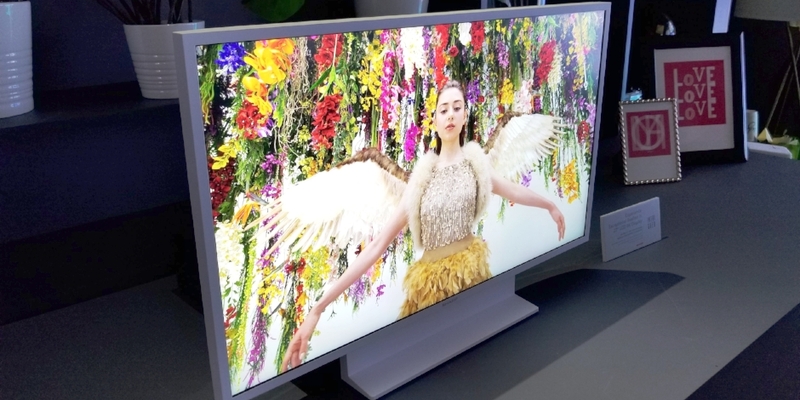 SHARP has a history when it comes to monitors and televisions on the market but the company has repeatedly failed to stand out from their competitors, until now. I stopped by Sharp's exhibit to see what they have been working on. To my surprise, we were met with two gorgeous 8K displays. One of them was an 80" 8K TV that can split-screen and run four 4K videos simultaneously. I'd love to put it to the test with four Xbox One X. That unfortunately might not happen because it has no release date for the US. The other display they showed was a prototype of what is to come. A 27" 8K display with HDR. The pixels are so dense that I had a very hard time getting up close and finding one. That is all thanks to the pixel density, which sits at 326ppi. That basically equates to enlarging an iPhone screen to 27". This will be even more impressive than a blown up iPhone screen, of course. This monitor will run at 120Hz and has a contrast ratio of >100,000 with HDR. The video they were showing looked like I could reach right into the TV and interact with it. There is another factor that plays into this effect. The average monitor brightness is peaks out at 100 cd/m2 AKA 'nits'. HDR displays vary upon the model and manufacturer. Most range from 500-1000 nits in peak brightness. This prototype has a peak brightness of 2000 nits! This is the reason it will have HDR. HDR allows the image to retain its organic color regardless of the brightness. Without HDR, the image would lose it colors. Some of you might be saying, "On a 27 inch screen, the human eye can not tell the difference between 8K and 4K." Though you may be right to an extent, this prototype may have you second guessing that statement. It honestly felt like Wonka Vision. There is no price, nor is there a release date for these monitors. This is just a prototype, but boy, do I want one! Sharp will definitely be putting their name at the top of the list again, when and/or if this display comes to production. They are still developing it, so there may be more exciting features to come. For now, we can sit, stare, and admire.